Richard Dawkins and his friends consider faith in a personal God a danger to humanity and are acting today on that basis to save mankind from such a delusion. 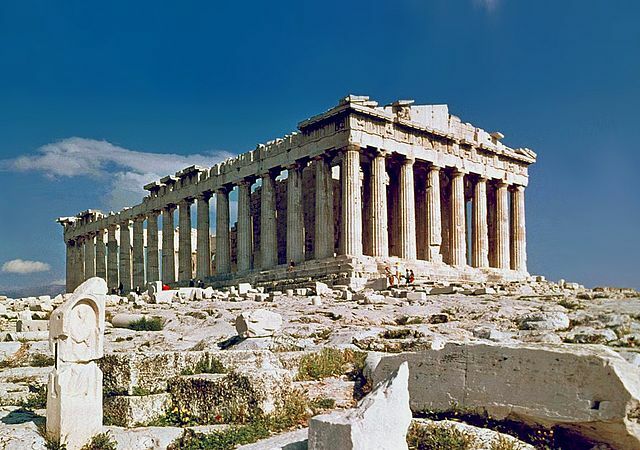 I think that highly educated Richard Dawkins admits despite all that the admired masterpieces of Classical Antiquity in architecture, sculpture, literature, mythology and theater are connected to the very personal divinities of Greece and Rome. They are the wonder of the entire world - and for a very good reason. The current Atheistic Crusade against religious God delusions can be compared to an attempt to remove music from the children of Adam and Eve. The barren end result of removing religious delusions can only be reached by violence and with revolutionary fire. This we can see from the history and vestigia terrent even in Tibet where the persecuted followers of Dalai Lama do not even believe in any personal god. Laughter and mockery of believers and their faith is invited also by Dawkins "as it is effective". The frequent visitors to the Hyde Park of Athens could not imagine that times really are changing and that laughable speech by an ugly Jew was actually starting shot for the change of entire Greek culture and civilization. The gods of Olympos would fall by the power of the Word of God of Israel, the only real God there is. Now we know what the God of Israel commands. Woe to those who ignore His will as they loose the dimension of eternity from their life.